Many aspects are considered thoroughly before educating yourself including scholarships and grants which is the money that is given to you for your education. Also, this money does not just pay up for your tuition but also takes care of your other expenses related to your education. 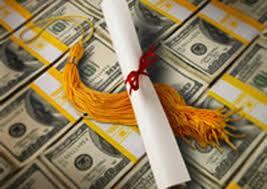 How to find scholarships and grants that suit your requirement? Merit based scholarship is monetary aid given to eligible students primarily on the basis of their abilities in academic, artistic and athletics. However, applicant's extracurricular activity and community service record is taken into consideration for such scholarships. Academic achievements and high scores on standardized tests are recognized by private organizations or directly by a student's intended college to provide the most common Merit based scholarships. They are directly paid to institution a student attends and not paid to a student himself. Need based scholarships are the ones where applicants are supposed to fill up a Free Application for Federal Student Aid (FAFSA) form and needs to qualify on the basis of student’s and family’s financial record. Results of FAFSA are also requested by private need based scholarships in order to calculate financial needs of the student. This is done through a formula which is based on the expected family contribution against the cost of the college the student intends to attend. These scholarships are the ones where applicants mostly qualify on the basis of their gender, race, religion, family, medical history and such specific student factors. This segment consists of the most popular category of Minority Scholarship. For instance, students in Canada get qualified for these aboriginal scholarships, irrespective of the fact that they study at home or abroad. Latino or American Indian, Asian Pacific Islander or African American; these students when enroll in colleges get an advantage of “Gates Millennium Scholar’s Program” a minority scholarship funded and managed by Melinda and Bill gates of Microsoft Corporation. College and Universities that award monetary aid to students pursuing specific fields of study are known as career specific scholarships. It is considered to be one of the most generous awards for students pursuing careers in esteemed fields of education or nursing. Future nurses who intend to work in a high-need community are given full scholarships for furthering their careers. Individual colleges and universities that offer highly qualified applicants with financial aid are known as College-specific scholarships. This full ride to college or reduced tuition rate scholarship is offered to students eligible on the basis of academic and personal achievements.